I have a clear teenage memory of reading a book with my sister on a winter’s afternoon, both of us squashed into an armchair and laughing so hard we couldn’t breathe. I can still remember the smiles of our parents as we repeated phrases to each other and shrieked and cackled and wiped our eyes. The book was The Diary of Adrian Mole. Michael Bond’s Paddington Bear, with his peculiarly English sense of humour. Dr Seuss and the joy of playing with words. Roald Dahl’s subversive glee. Le Petit Nicholas, Superfudge, Lemony Snicket. The one thing they all have in common? They made me laugh. I accompanied a young friend round the bookshop this week. Vampires, death games, dark fantasy and a fair bit of pink glitter. Where are the laughs in that lot? So I was cheered to hear about The Greenhouse Funny Competition. Greenhouse is a literary agency, run by Sarah Davies in Washington and Julia Churchill in London, which exclusively represents and manages the careers of authors writing fiction for children, from young chapter-book series through middle grade novels to sophisticated teen fiction. Here’s Julia on why a Funny Competition. “At Greenhouse we love all sorts of writing for children. We love edgy, wincingly close-to-the-bone YA fiction, we love thrilling, commercial concepts with big surprises, and beautiful and heartfelt younger stories. I could keep going, but in short, we love quality. And there’s something that Sarah and I agree that we don’t see enough of: Funny. I had the idea for a prize because every time I sit down with an editor and ask what they’re looking for, they generally say, ‘Funny. We need humour’. The prize is representation by Greenhouse AND a full weekend ticket to the Festival of Writing in September. So what are you waiting for? 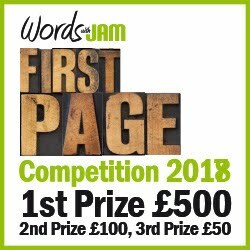 If you’re a resident of the UK or Ireland, get submitting. Send the first 5,000 words PLUS a short description (a few lines) of the book AND a one page outline that shows the spine of the plot. If you are submitting a picture book (or shorter fiction that comes in under 5,000 words), then send the complete text. 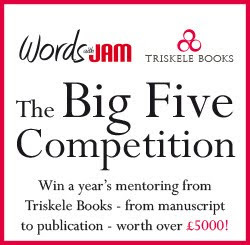 The deadline for submissions is Monday 30 July.